Let’s say you decide to give this blogging thing a try. You’re convinced there’s a strong business case for it and you’re willing to invest the time to make it work. You buckle down, spend some quality time with the keyboard, and publish your best stuff for the world to see. Then you sit back, open up your inbox, and wait for the queries to start pouring in. But something unexpected happens… nothing. Despite your efforts, it seems no one really cares. No one is reading. No one is sharing. And no one is lining up for your services. Of course, you should’ve seen this coming. There’s a whole lot of stuff on the internet that no one reads. The chances of your blog being the exception were slim at best. What could you have done to improve your chances? It’s tough to break through and get attention. You’re not only competing with all the other blogs out there — but with everything else that competes for your audience’s time. 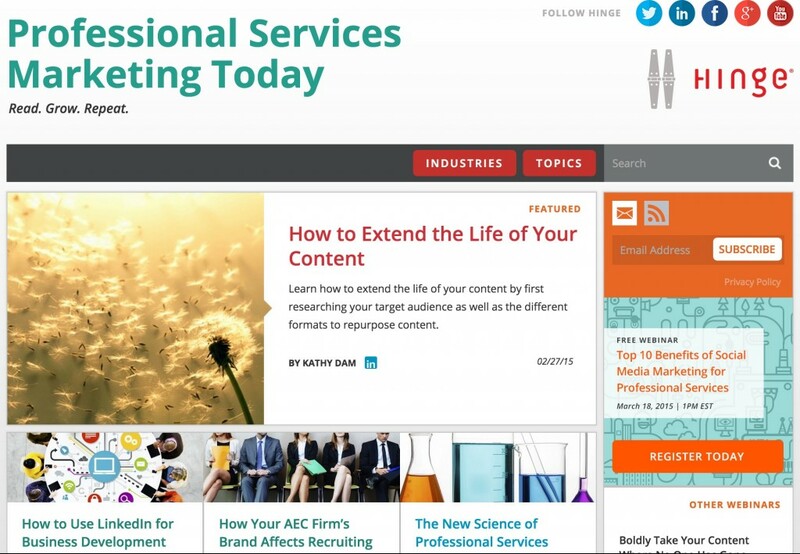 Yet there are many examples of extremely successful professional services blogs in almost every industry — ones that gets plenty of attention and generate serious business. What are they doing that you’re not? How can you replicate their success? Let’s take a closer look at 7 of the most effective blog strategies for professional services firms and why they work so well. Everyone calls themselves thought leaders. But few can back up that claim with actual thought leadership. If you’re a real thought leader (you’d know if you were), you can use your blog to differentiate yourself from all the imposters out there by highlighting the key trends, developments, and ideas that are shaping your industry. A well executed thought leadership blog invokes a “holy crap” response from readers because it’s full of incredibly valuable content that you won’t find anywhere else. If you can demonstrate that your firm’s intelligence is leaps and bounds beyond your competitors — you need to start a thought leadership blog. In the marketing space, few do this better than the folks at Hinge Marketing — a marketing and branding agency for professional services firms. A cursory glance at their website and blog makes one thing perfectly clear: these guys know their stuff. There aren’t many other places where you can find the calibre of marketing thought leadership you’ll find on Hinge’s blog. The sheer volume of useful content is almost intimidating. As a result, Hinge has cemented its position as the go-to resource for the latest ideas in professional services marketing. Is good execution what’s holding your clients back from success? If so, this positioning strategy is made for you. This is the kind of blog where you’ll find detailed tutorials, instructions, and practical advice that helps readers solve actual problems. The strategy is to demonstrate how good you are at getting things done, so when prospects realize they can’t possibly do it all by themselves… they’ll come running to you. Orbit Media’s blog is insanely useful. I often find myself getting lost there for hours on end… it’s actually really frustrating (good for them though). The Orbit blog is the place to find expert, practical advice on content marketing, analytics, and web design. Our goal is to help you get better results from the web. There’s a lot of useless junk on the internet… and most of it doesn’t get read simply because no one knows who it’s for. This positioning strategy is all about targeting an ultra-specific niche. Everyone wants to read stuff that’s written for them — and this blog makes no mistake about who it serves and what it’s about. Peter Mahler is a partner at Farrel Fritz Attorneys in New York. He’s a recognized expert in “business divorce” — i.e. helping companies decide what to do when it’s time to split up. It’s important to note here that Peter didn’t make up a service area. He’s actually a business divorce specialist. He saw the opportunity to leverage that speciality with a niche blog and has made a name for himself in the process. Want to become the go-to service provider in your industry? This blog strategy cements your positioning as a market leader by becoming the go-to destination for the latest industry news. If you’re a specialist firm that helps clients with a particular set of problems — this strategy is a great way to demonstrate your authority within that space. Put yourself in your buyer’s shoes. If you have a specific problem, you want to work with a professional that clearly has their ‘ear to the ground’ and demonstrates an understanding of your problem inside-out. The Employment Law Group specializes in employment law. They publish The Whistle Blower Blog which provides comprehensive coverage of the major whistleblower cases across the country. The Whistleblower Blog was named one of the top 15 law blogs of 2015 by Business Insider. Its the go-to place for information and analysis of noteworthy whistleblower and employment law cases. If you were considering blowing the whistle on your boss, why would you call anyone else? Between blogs, social media, news, and not to mention email — there’s more stuff to consume than we could possibly find the time for. What will find its way to the top of our digital paper pile? Definitely not the stuff that’s dreadfully boring (even if it’s useful). This blog strategy kicks boring in the face. It’s so full of personality and wit your readers will forget they’re there to learn something. 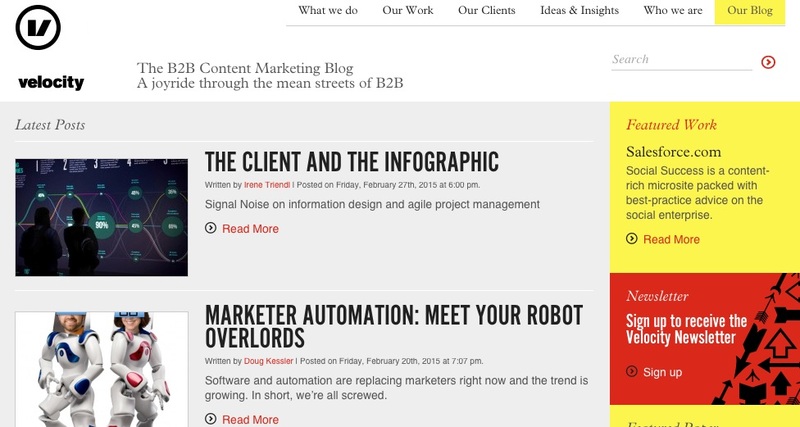 I have an unhealthy obsession with Doug Kessler and the Velocity Partners blog. Velocity Partners is a content marketing agency that helps B2B firms produce content that gets noticed… and they practice what they preach. Velocity’s blog is chock full of personality and humour in a niche that’s not exactly known for it’s wild side. Are your buyers paralyzed by fear? If you offer a service that puts buyers at ease, mitigates their risks, or makes a complex undertaking simpler — you should definitely blog about it. This one is hard to wrap your head around without looking at a concrete example. Ever think about doing business in China? Me neither. It’s too damn scary. There aren’t many problems more frightening than doing business in China. Foreign country, different language, weird laws — who can be bothered? 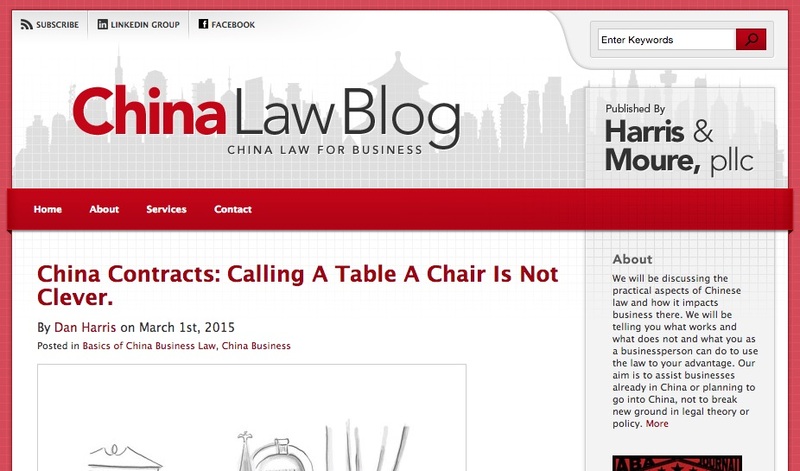 Lucky for us, law firm Harris Moure publishes an entire blog dedicated to helping businesses navigate the many complexities of doing business in China. Not only is the blog exceptionally useful — it’s the perfect branded content strategy because it ties directly to Harris Moure’s positioning as a law firm that helps businesses expand into foreign markets. 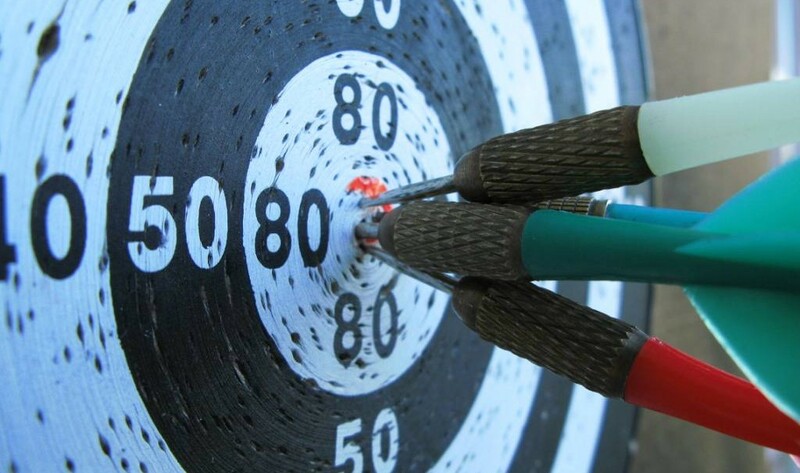 Targeting a specific niche is great advice for some firms. But what about firms that successfully offer a wide range of services for a diverse group of customers? How can they provide value to the many different types of prospects that would read their blog? 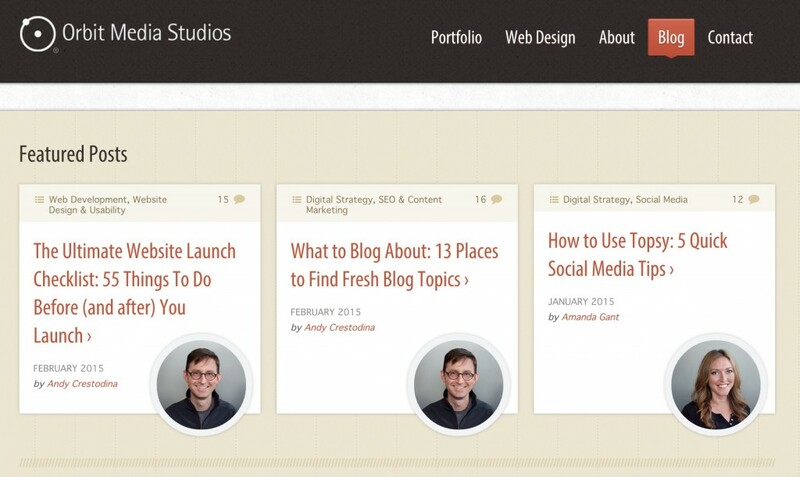 Simple: create a bunch of different blogs. Why do major publications like Harvard Business Review, Entrepreneur Magazine, and Inc have multiple blogs? Because their readers are not all the same. They have different blogs that cater to the different interests of their audience. Who said you can’t do the same? I was actually kind of shocked when I found this one. Bond Beebe is a Washington DC based accounting firm. Typical of a mid-sized firm, they offer an extensive list of services that tackle the many accounting and taxation issues companies face. According to their website, they have 6 different practice areas and work in 9 different industries. How do you distill all that expertise onto one blog? You don’t. You create 7 of them. 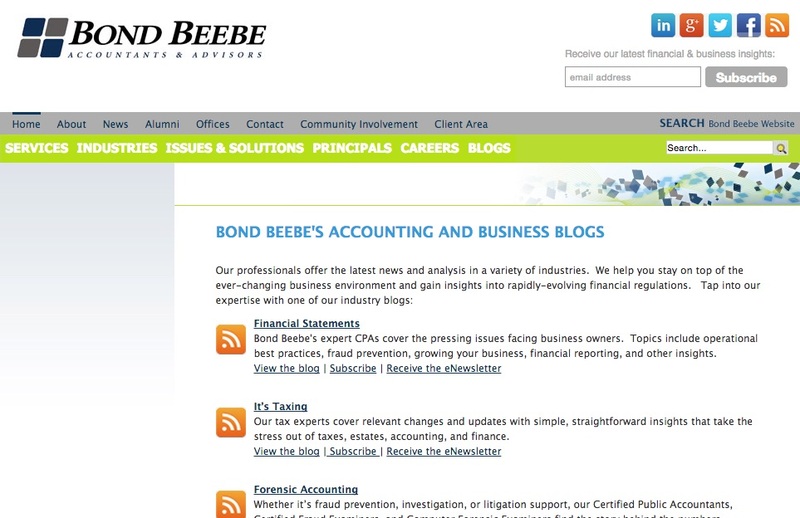 That’s right, Bond Beebe has 7 different accounting blogs that cover all kinds of topics including financial statements, taxation, forensic accounting, benefit plans, payroll, and more. It doesn’t matter who you are — if you’re in charge of accounting and finance, Bond Beebe has a blog for you. Any other professional services blogs worthy of mention? Let me know in the comments! Flickr creative commons image via Erika.